10 Successful PR Stunts That You Might Not Have Heard Of Before! 10) Where would your PR stunt be without a bit of irony!? American loved cereal brand Cinnamon Toast Crunch took something we love to hate (the selfie-stick) and turned it into a rather amusing PR stunt. You will never eat cereal the same again! 09) Paddy Power love to be the underdog of PR stunts and it’s quite possible we love them right back for it. 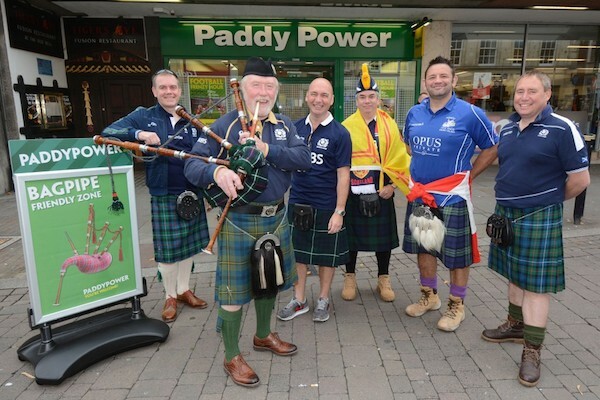 This time in response to the ban on the bagpipe by the Rugby World Cup bosses, Paddy Power has declared its Southgate Street shop in Gloucester a ‘bagpipe friendly zone’ ahead of Scotland’s Rugby World Cup opener against Japan. Get you self down there to hear the subtle tones of the bagpipe and hang out with some dudes in skirts. 08) Everyone remembers the hunger hungry caterpillar from the much loved Children’s books right!? 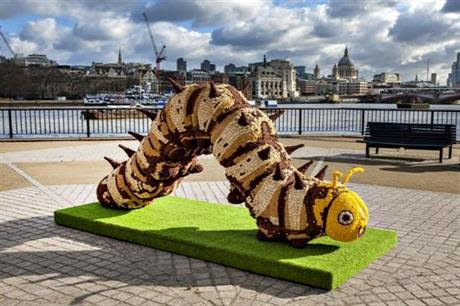 Well Nestle made a giant delicious version of the little guy made entirely out of their whole grain cereal brands! The kids favourite bed time story was made up of Shreddies, Cheerios and Nesquik cereals! The tasty creation was designed to highlight to parents that a bowl of Nestlé Cereal is a good source of vitamins and minerals. Crunchy! 07) Yay free stuff! Coca-cola selected a number of London train stations to debut a special kind of vending machines that gave away free cokes and free t-shirts! This very special vending machine was activated by Tweets! 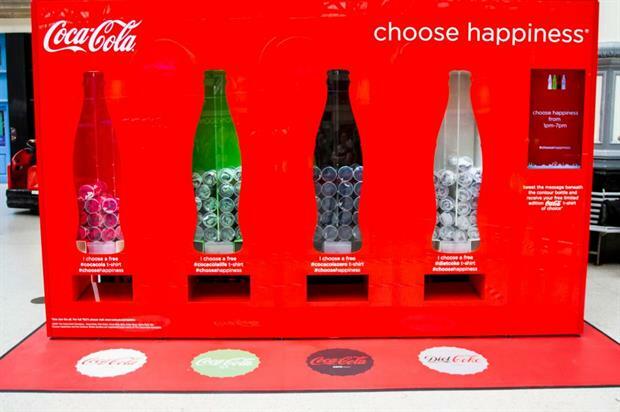 The idea is that you tweet in your favourite variant of Coca-Cola, such as Diet Coke or Coca-Cola Zero, alongside the hashtag #ChooseHappiness. This is displayed on the installation as it dispenses a free tee matching the colour of the chosen drink! Winner! 06) We like things that are powered by tweets! TopShop got in on the action by installing a crane that is operated by tweets. The crane and coin pusher machines are part of the TopShop Playland stunt. 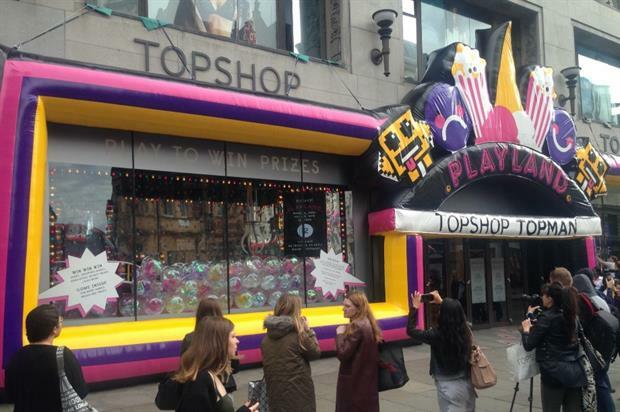 The crane is located in the main window of the store, and customers can control it via Twitter to win TopShop prizes. 05) The beauty of virtual reality experiences is that it can transport you from your mundane life and into something terribly exciting, and when you come out the other end you may well invest some money into having the real experience! 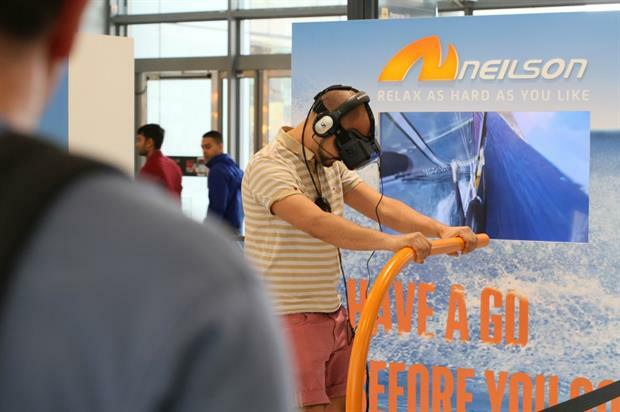 Neilson Active Holidays’ took their Oculus Rift Experience on tour where its ‘Have a Go Before You Go’ roadshow saw the brand bring its virtual reality offering to consumers throughout the UK, transporting them to two idyllic locations: windsurfing in the Mediterranean and skiing in Andorra. 04) It might just be because it’s Halloween but anyway October’s Australian issue of Elle Magazine is giving each and every reader the chance to be a cover girl! Sounds like a logistical nightmare doesn’t it? Well actually October’s issue works as a mirror! 03) To celebrate the Queen becoming Britain's longest-serving monarch cereal brand Kellogg’s invented the aptly named Kellogg’s Queen Flakes! 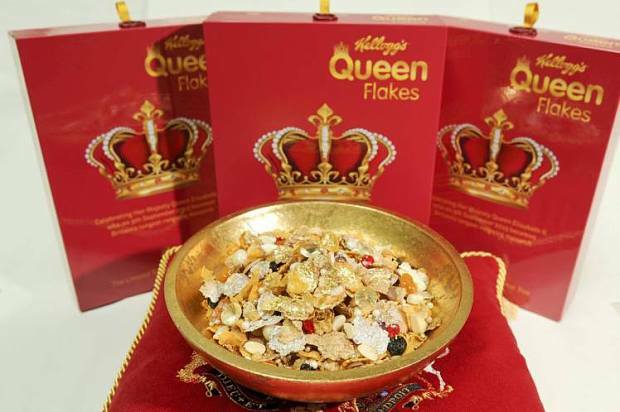 This royal bowl contains Special K flakes, pearls and diamonds (all of the edible variety!) and macadamia nuts which are apparently your highness’ favourite! Unfortunately you can only try this culinary delight at the hideously hipster Black Milk Cereal Dive in Manchester and it will set you back a King's ransom of £6.30. 02) When you think of New Zealand and rugby at the same time you’re probably going to get thinking about the loud and scary pre-game ritual that the All Blacks rugby team do called the Haka. You may have even tried your darndest to recreate it as some point! Well now you have the chance to do just that eye to eye with the rather beefy All Blacks themselves! How is that possible? Well, All Blacks sponsor AIG has launched a 360 degree app! This gives the viewer the chance to be ‘on the field’ with the New Zealand players as they perform the traditional pre-match Māori ritual, the haka. Close enough if you ask me! 01) If you are a big fan of sports then you might say it’s in your blood to be loyal to your home team. We are seeing many Rugby World Cup related stunts this month due to the excitement of the games. NHS Blood and Transplant has launched a new campaign calling on new volunteers to show their support to England throughout the Rugby World Cup by registering to become a donor and donating their own blood. In this ‘Restore the Rose’ campaign, each new person who registers to give blood restores a single pixel to a rose housed on the website. The totaliser currently stands at 28% meaning an additional 28,000 donors have registered since England’s first warm-up game a month ago. Are you looking to raise a few giggles or really make people think? Either way we can help you raise brand awareness. Contact us now for a PR stunt consultation.